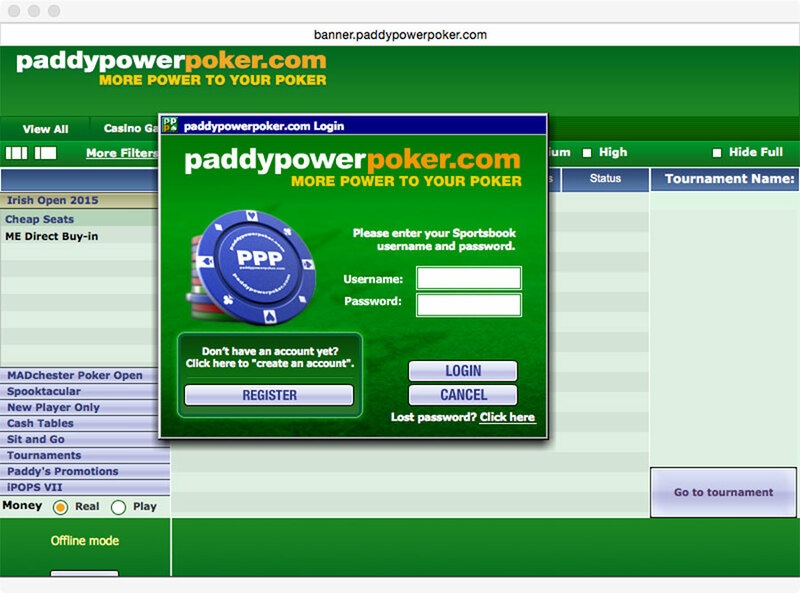 PaddyPower’s poker page need some ux love! Yesterday I wrote about Net Entertainment’s nice “left hand setting” feature which I think is great user experience. Today it will be bad user experience. PaddyPower who usually do great things have missed two (at least) really obvious things on their poker page. 1. Is there an instant poker version available for mac users? When going to the poker page there is nothing telling the player that it is possible to play instant poker in their browser. The problem is that it says “FREE DOWNLOAD” and “Download Windows version”. I associate the Free download with download windows version making me think that it is not possible to play as a mac user. But when you move your mouse over the “FREE DOWNLOAD” button you get the hint “Click here to play poker in your Browser – no download required!“. This is bad user experience! My advice to PaddyPower is to remove the “Download Windows version” link for mac users and just rename the “FREE DOWNLOAD” button to “Play Poker” or something similar! Image 1. The header of PaddyPower’s poker page. 2. Why do I have to login in twice to play poker? My second issue is that the player need to login twice to play. Why can’t I be logged in automatically if I’m already logged in? This is bad player experience! Image 2. Start screen when you launch PaddyPower’s instant poker client. I hope PaddyPower will modify their poker page so that it won’t be so confusing.